- Contouring(shaping) pencil creates depth & highlighting (plumping) pencil makes eyes bright. - Creamy texture glides on smoothly and provides good adherence. - Blended with Vitamin E to protect & moisturize skin. - Contains light reflecting satin pearl for a glittering & volumizing effect. 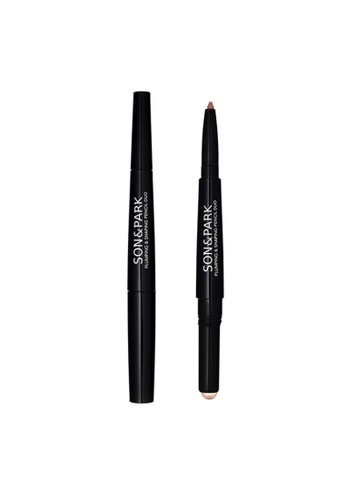 Can't find SON&PARK Plumping & Shaping Pencil Duo in your size?